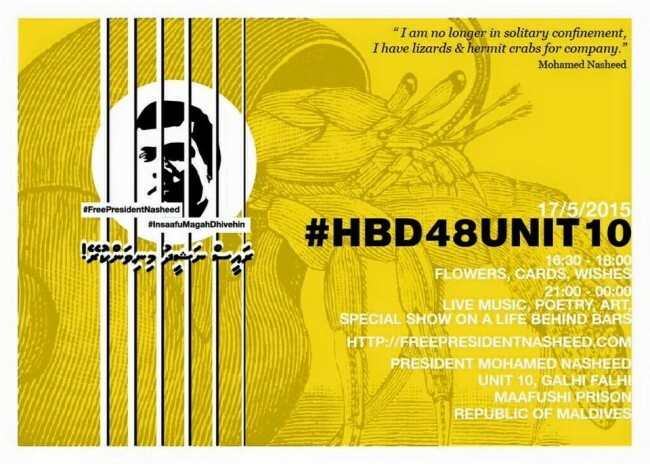 On 17 May, President Nasheed will turn 48 while under arrest in the maximum security prison in Maafushi. We will celebrate his birthday in Male’ on 17th May. Come be part of it.